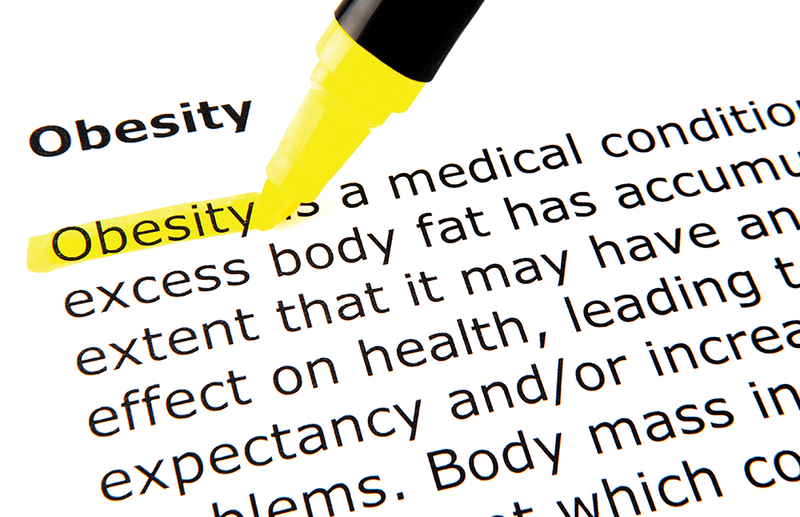 Obesity is a growing problem around the world, with many negative consequences for both individuals and societies. Research by Professor Barry M. Popkin and his team at the University of North Carolina aims to help lead us beyond the current obesity epidemic. Almost everywhere you look, in every corner of the globe, obesity is a major problem. One of the most common outcomes of an inappropriate diet is steadily-increasing weight gain, eventually leading to a range of health problems and a significantly shorter lifespan. But why is this happening? An obese population reflects a consistent pattern – and addressing this requires identification and understanding of the underlying causes. Much of this worldwide epidemic is driven by the types of food and eating behaviours that we have access to and are driven by modern marketing to purchase. Across the globe, food is becoming sweeter, fattier, and more heavily processed. Indeed, almost 75% of the products within the US food supply currently have some form of added sweetener. Furthermore, the rest of the world is rapidly catching up – the sales of sweetened products and ultra-processed junk foods in general are increasing in almost all low- and middle-income countries. This change in diet usually occurs alongside changes in the makeup and roles of society more generally – a process that is often referred to as the nutrition transition. The concept of the nutrition transition was developed by Professor Barry M. Popkin of the University of North Carolina, a world leader in the field of nutrition and nutrition-related diseases. It can be thought of as the different stages that a population will go through as their access to food evolves from hunter-gatherer style meals through to health-conscious pre-packaged meals. This is a change that occurs at different times in different societies, but which tends to follow a roughly similar trajectory in each case. We can think of it as comprising five distinct stages. The first stage is the typical hunter-gatherer lifestyle. This is marked by the collection of wild food sources that are high in carbohydrates and fibre, as well as hunting wild animals. This stage requires a very active lifestyle and obesity is rare, simply because food is so difficult to come by. The second stage is famine, in which the number of food sources linked with farming are drastically reduced. Dietary options are few, hunger is rampant, and unequal access to food often leads to a strengthening of differences in social status – think of the well-fed king and the starving peasant. As societies develop and organise they become better able to plan and control food shortages, leading to stage three – receding famine. At this point, the variety of available food increases and modern technology is linked with a the comparatively easier lifestyle leads to increased interest in leisure activities and a general desire to lounge. Significantly reduced activity at work and excessive sedentary activities eventually leads to the fourth stage, termed nutrition-related non-communicable disease (NR-NCD) by Professor Popkin. The population has easy access to foods that are rich in fat, salt, and sugar, yet low in fibre or polyunsaturated oils, usually at the same time as they transition to a sedentary lifestyle. This quickly results in an epidemic of obesity and the many noncommunicable health issues associated with it. The fifth stage comes after NR-NCD, marking the point at which people decide that their lifestyle is unhealthy and unsustainable. Referred to as behavioural change, it involves the uptake of new behaviours and new policies with the intent of improving long-term health. This is, unsurprisingly, the stage that is best both for our personal health and the health of the medical budget – it is also the stage toward which policies developed by researchers such as Professor Popkin attempt to drive society towards. Although all five stages are part of the overall nutrition transition, the shift from stage three (receding famine) to stage four (NR-NCD) is considered to be the most important one. It is a transition that is happening at a rapid pace in most low- and middle-income developing countries across the globe. He is actively involved at both national and global levels in policy formulation for many countries, noting that his ‘most active research for advocacy and evaluation work is now in Mexico, Chile, Peru, Colombia, Brazil, South Africa, India, Jamaica, and the Philippines.’ At the same time, he has been responsible for running longitudinal surveys in China and Russia, both containing over 30 years of data from tens of thousands of participants. This kind of long-timeframe data helps provide a thorough overview of nutritional changes during social development. A major focus for Professor Popkin’s work in the past decade has been working with colleagues and countries in the rapidly-developing region of Latin America and the Caribbean. This region suffers from two diametrically opposed and yet interlinked problems. It is one of the most obese low-income regions in the world (over 50% of women are overweight or obese, for example), and yet it contains a high level of stunted children – those who are smaller than average due to poor feeding. 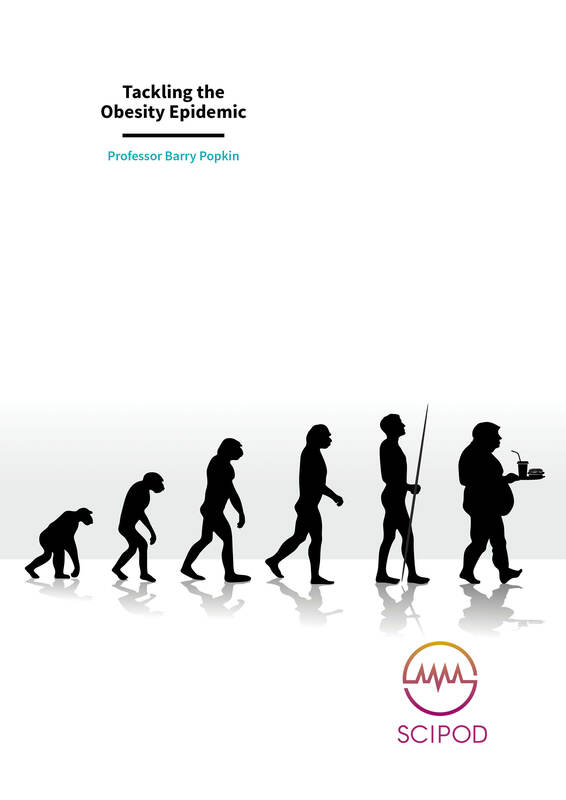 Professor Popkin his colleagues used a number of data-analysis techniques to show that these problems can be traced back to massive shifts in the food supply and overall food system and the corresponding diet of the population. Income has risen rapidly in recent decades, providing many with the chance to buy foods that they could otherwise not afford. This income growth has prompted businesses to enter the field, supplying and marketing new products and developing new supply chains. The length and complexity of these supply chains was helped along by investment in the regional infrastructure – better roads and train networks allow food to be shipped further and faster than ever before. At the same time, people began to move from rural areas to cities, drawn by the high-paying and more attractive jobs there. Women increasingly entered the workforce, which meant that they were less likely to be performing the ‘traditional’ role of cooking for the family. This lack of time and space meant that city residents were more likely to buy pre-processed food or cook quick meals. While this was going on, the way in which people obtained food was itself changing. The small corner store or market stall selling fresh produce was slowly displaced by the large supermarket chain and fast food services, able to offer a wide range of goods at much lower prices. Importantly, supermarkets offer a wide range of processed foods – perfectly suited to the needs of time-strapped city-dwellers. So, what is the outcome of all of this? Essentially, the average Latin American is now provided with a wide range of pre-processed foods, has limited time to cook their own meals, and works in a job that requires minimal physical activity. In other words, they are almost destined to become overweight and unhealthy. The question, then, is what to do about this. Obesity is a problem both for the individual (who suffers from various health problems) and society (that needs to pay for the healthcare costs). Most governments therefore want to encourage their citizens to lead healthier, nutritionally-better lives. Developing policies to do this is an area in which the expertise of researchers such as Professor Popkin comes in. The most well-known of these policies is the so-called ‘fat-tax’ or ‘sugar-tax’, essentially an extra tax applied to any product containing more than a certain amount of sugar or fat. Such taxes have been shown to reduce purchases of these products. Professor Popkin and his colleagues have presented results from an observational study of several thousand households in Mexico. This study was conducted one and two years after the country implemented a tax on sugar-sweetened drinks, one which effectively raised the price of these drinks by approximately 10%. This tax was brought in to combat the rapid rise in obesity amongst the population (one study estimates that half of all Mexican adults are obese). Results clearly showed that the additional tax discouraged the purchase of these drinks. The researchers demonstrated that purchases of sugar-sweetened drinks were reduced by 6% in the year following the tax, while at the same time, there was a significant increase in purchases of bottled water. From this, it can be seen that policy can dramatically drive consumer spending habits and reduce purchases of sugar-filled drinks. However, the tax has not been in place for long enough for the researchers to draw a clear link to health benefits. 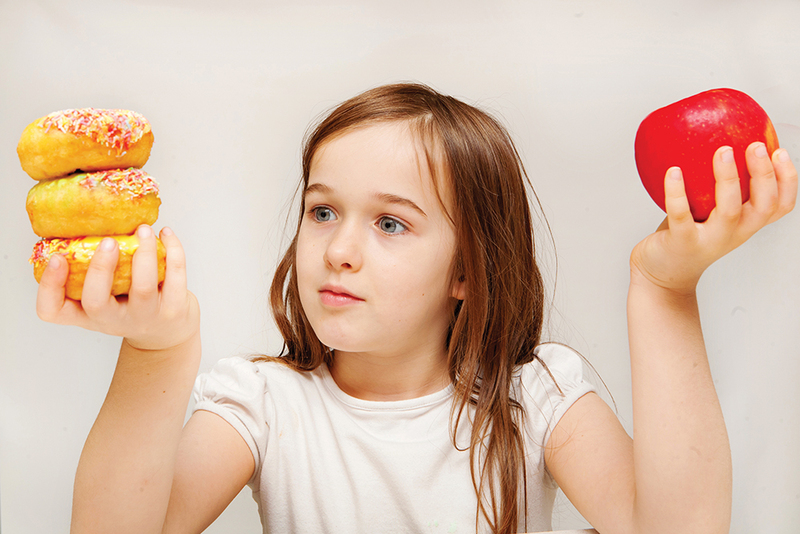 In a series of forthcoming studies conducted in Chile, Professor Popkin and colleagues will show even more remarkable shifts in food and beverage purchasing, and how even children are becoming advocates for healthier eating. Chile have introduced the most comprehensive laws yet to strictly regulate the products that can be advertised to children. Unhealthy regulated foods and beverages were marked with warning labels and these foods could not be sold by or brought to schools. This combination of warning labels on most of the highly processed foods and beverages with other comprehensive marketing regulations will be shown to have enormous impacts on the diets of children and household food purchases. Other policies have also been suggested, from traffic-light nutritional panels to local food laws. But in almost every case, no research has shown they are effective. The impact of this work is seen in the 38 countries that now have sugary beverage taxes, with most using the Mexican results as justification. Similarly, before publication of the Chilean results, Israel, Peru, and Uruguay have already adopted the Chilean warning label system and major countries in Asia and Africa are planning similar systems. Providing evidence on effective programs and policies to support effective national interventions is Professor Popkin’s goal. He notes that ‘taxes on sugary beverages and junk food can work. We will publish a large number of studies in the next year to show that warning labels, marketing controls, and related regulations can be equally, if not more impactful.’ By blending legal requirements and improved consumer information, he believes that developing countries can be moved into the last phase of the nutrition transition – that of improved long-term health. Behaviour is often very difficult to change, and the behaviour of an entire region can be highly resistant to such efforts. However, even the most unwieldy of objects can be moved if the right lever is found. The need to improve diets and reduce health problems and costs is urgent. The work of Professor Popkin, along with other researchers in this field, aims to provide the levers to ensure improved health for the population at large. Most importantly, they are working in countries globally with public health advocates and providing the research support to push for many policies to attempt to shift our culture of eating and drinking. Professor M. Barry Popkin received his PhD in agricultural economics from Cornell University in 1974. Following a series of international and policy-driven roles, he now is a W. R. Kenan, Jr. Distinguished Professor in the Department of Nutrition at the University of North Carolina. 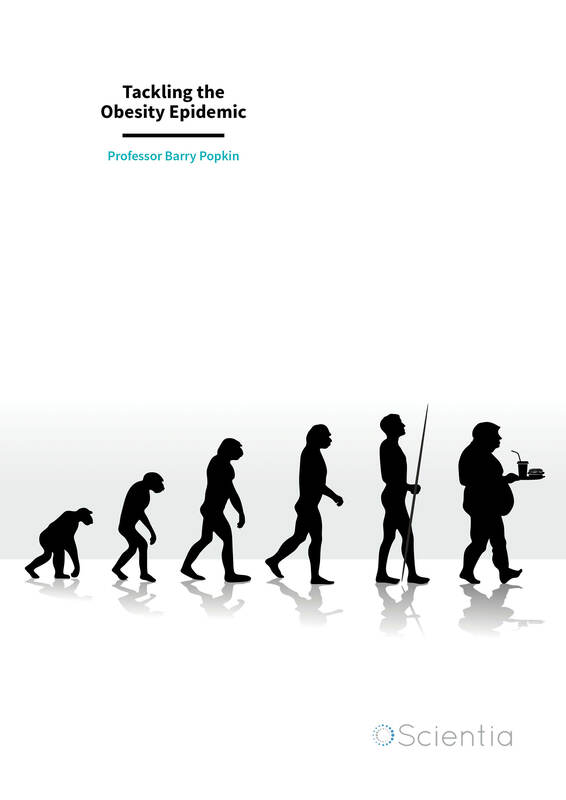 Professor Popkin is perhaps best known for developing the idea of the nutrition transition, although this constitutes only a small part of his long and illustrious career in nutritional and policy science. 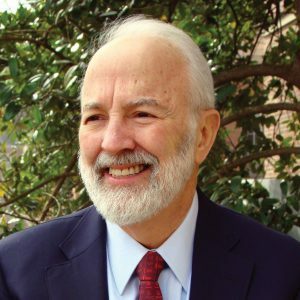 Professor Popkin has so far published almost 550 journal articles, is listed as an author on six books, has consulted for almost every major health policy organisation, and has received grant funding in excess of $135 million. Recipient of a number of awards, he has also found time to support and mentor numerous up-and-coming researchers. BM Popkin, T Reardon, Obesity and the food system transformation in Latin America, Obesity Reviews, 2018, 19, 1028–1064. BM Popkin, Relationship between shifts in food system dynamics and acceleration of the global nutrition transition, Nutrition Reviews, 2017, 75, 73–82. MA Colchero, BM Popkin, JA Rivera, SW Ng, Beverage purchases from stores in Mexico under the excise tax on sugar sweetened beverages: observational study, BMJ, 2016, 352, h6704. BM Popkin, C Hawkes, Sweetening of the global diet, particularly beverages: patterns, trends, and policy responses, The Lancet Diabetes and Endocrinology, 2016, 4, 174–186.